There are many types of roses from species (wild) and old garden varieties (OGRs) to the modern hybrids and landscape roses. And I love them all. I can honestly say that every class of rose is beautiful to me. Each has their strengths and their weaknesses. OGRs are any roses grown prior to 1867 when the first Hybrid Tea, La France, was introduced. Most Species and OGRs have a one-time blooming season most usually in late spring or early summer. But what a season it is. Hundreds and hundreds of wonderfully fragrant blooms! This is something I wait all winter for! 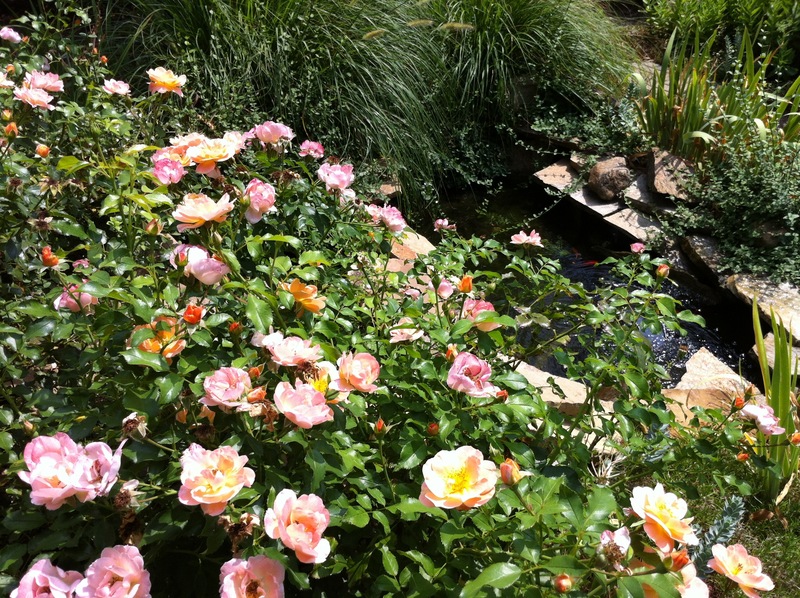 The modern Hybrid Tea, Floribunda and Grandiflora roses produce blooms in waves throughout the summer and early fall. Many of these are fragrant as well, but the blooms are on longer stems that make them very popular in the world of florists. Modern shurb or landscape roses give us disease resistance and season long blooms and fit very well in most any landscape or garden. Albas are tall, slender, upright bushes producing flowers of blush pink or white. Albas are very hardy and thrive under difficult conditions, even partial shade. They are almost completely disease-resistant and require little pruning. These roses have a strong, rich perfume. I have Felicite Parementier on order for next year. Another beautiful Alba is Madam Plantier. Bourbons were the roses of Victorian England. They produce beautiful, large, full old rose blooms on vigorous growing bushes with blooms of wonderful, heady fragrance. Many Bourbons repeat bloom. One of my favorite bourbons is Bourbon Queen although it does not repeat bloom for me. However, when she blooms, she blooms. Last year I sent a picture of Bourbon Queen in bloom to The American Rose Society and she was chosen to be in the 2013 calendar. So, you could say the Bourbon Queen is a calender girl. 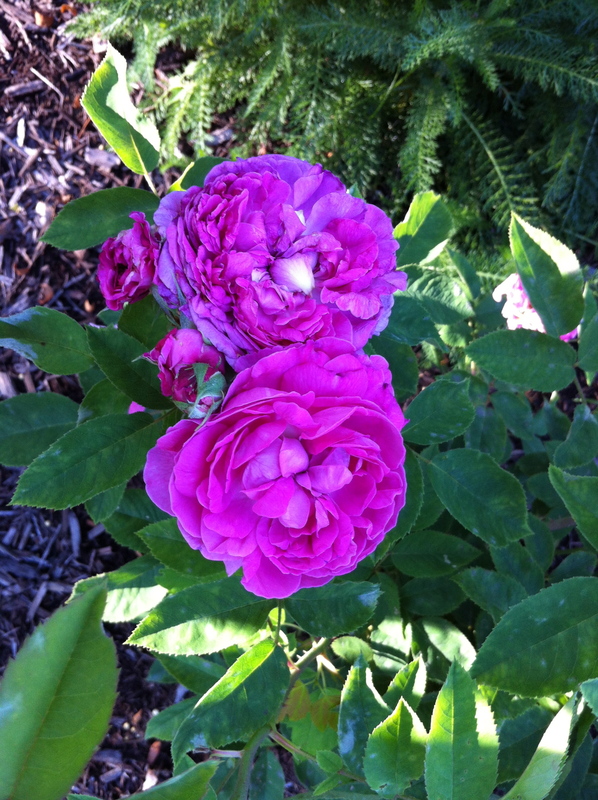 Also known as Cabbage Roses have large blooms of many petals. Centifolia means 100 petals. These roses are summer flowering and extremely fragrant! 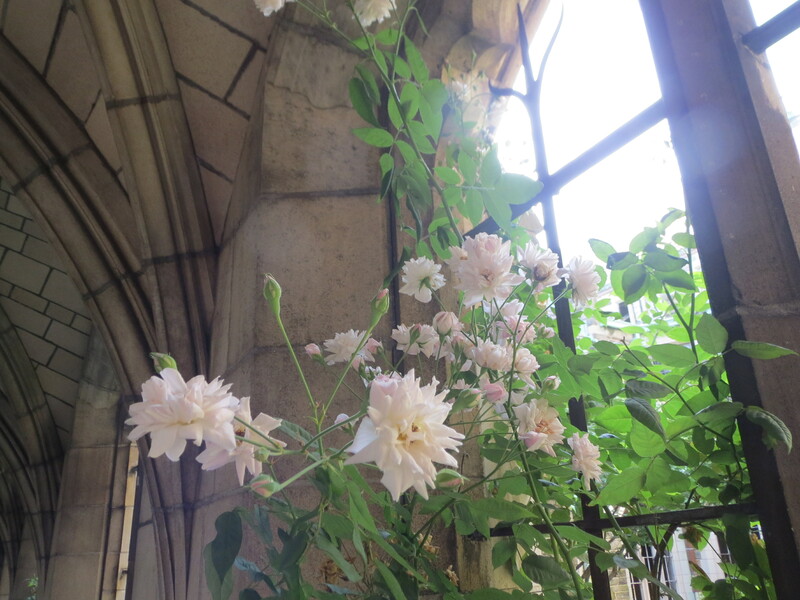 I don’t have any Centifolias (yet), but there are two that are standouts in the rose catalogs–Fantin Latour and Tour de Malakoff. Damask roses are very old, having been grown in Biblical times. They are known for their distinctive, rich damask perfume and beautiful pink or white blooms. 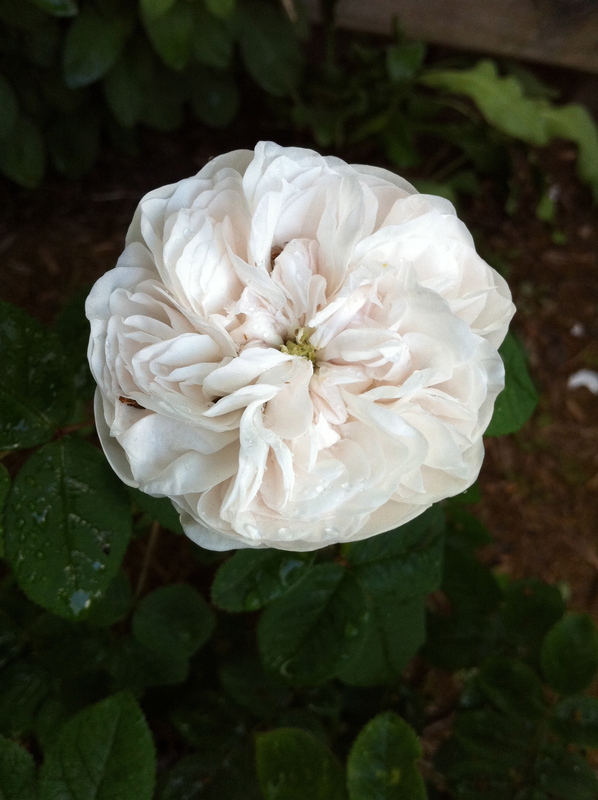 My favorite Damask rose is Madam Hardy … amazingly fragrant white blooms with a unique green eye. 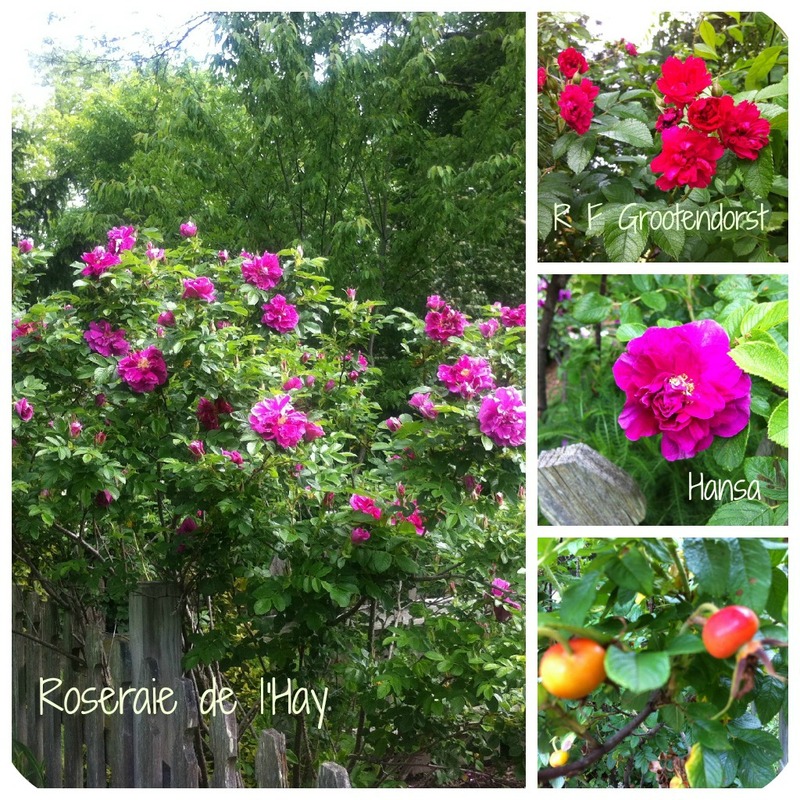 The Damasks I grow are Rose de Rescht and Madam Hardy. 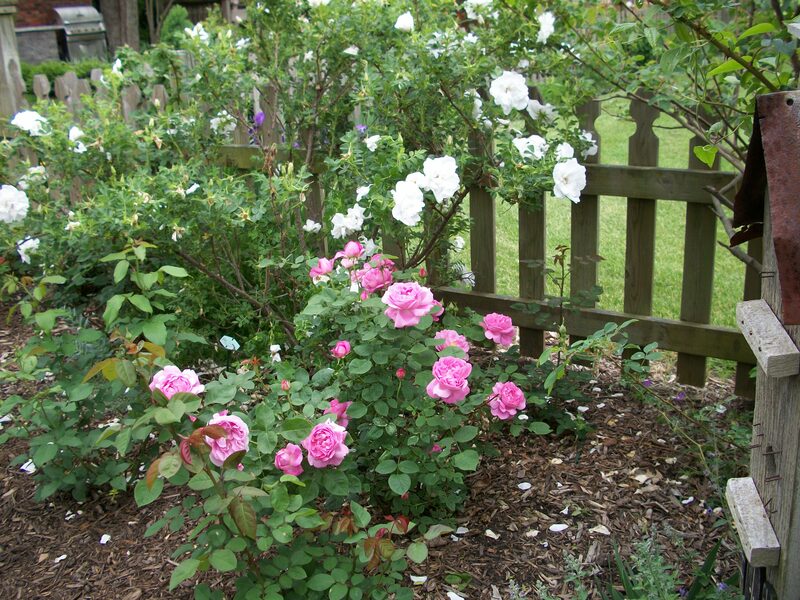 These roses combine the best qualities of their parents–hybrid teas and ployantha roses. From the polyanthas come increased hardiness, low growing habit and continuous bloom and from hybrid teas they inherit their flower form and foliage. 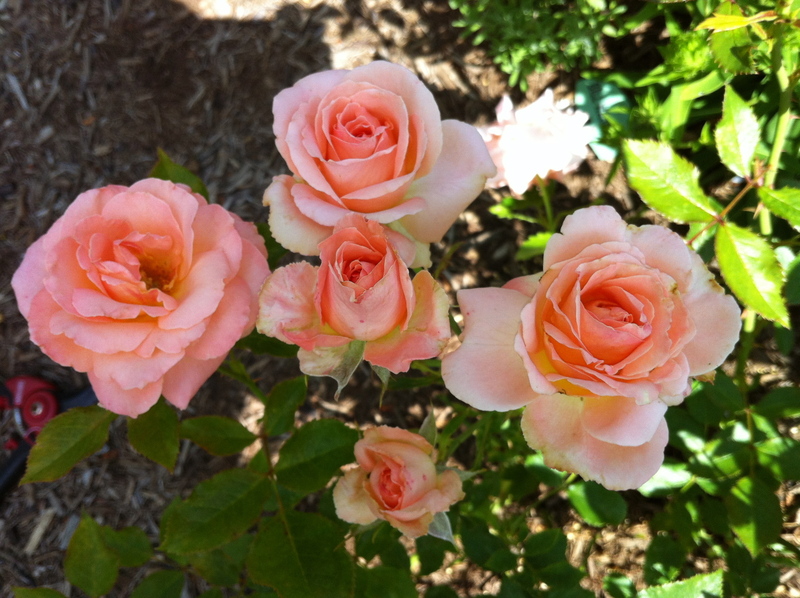 I have several favorite floribundas … three favs in my garden are Gene Boerner, Bill Warriner and Janice Kellogg. David Austin’s English roses came on the scene in the 1960s. 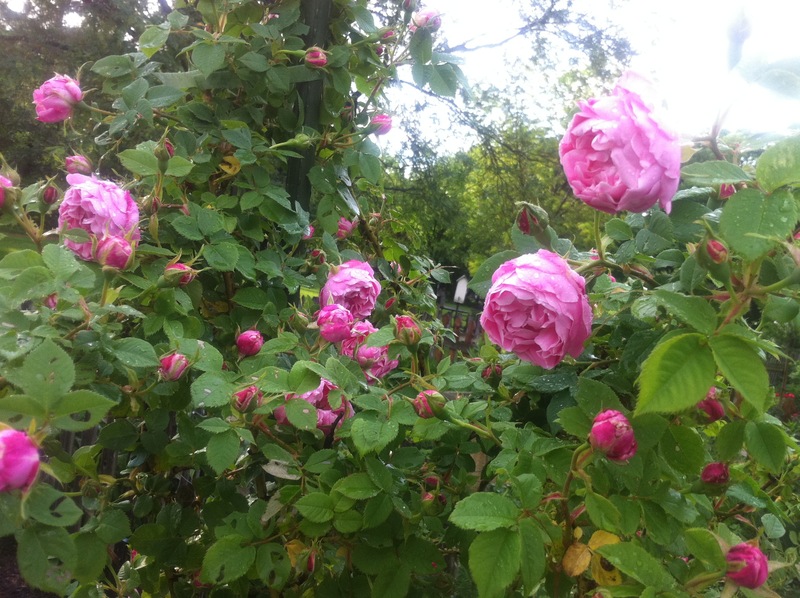 The first English rose, the fragrant Constance Spry, was released in 1961. This new breed of rose combines the form and fragrance of the old roses with the repeat blooming and wider range of color of the hybrid roses. Two of my favorite David Austin English roses are Mary Rose and Charlotte. And I’m adding a few more this year. You can read my thoughts on David Austin and his roses here. I’ll warn you, I am totally infatuated! 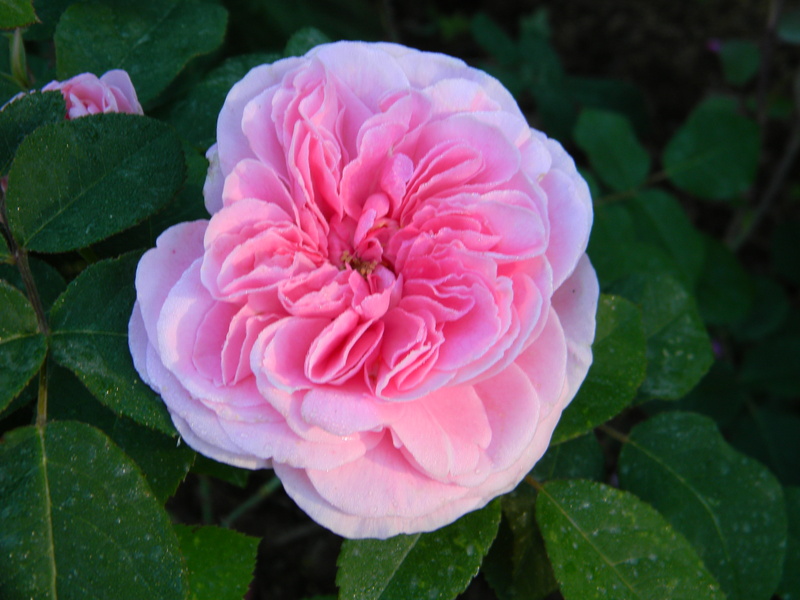 Gallicas are the oldest of the garden roses, having been grown by the Greeks and Romans! Gallicas are spring blooming shrubs with wonderfully fragrant blooms of pink, red and even some purples. 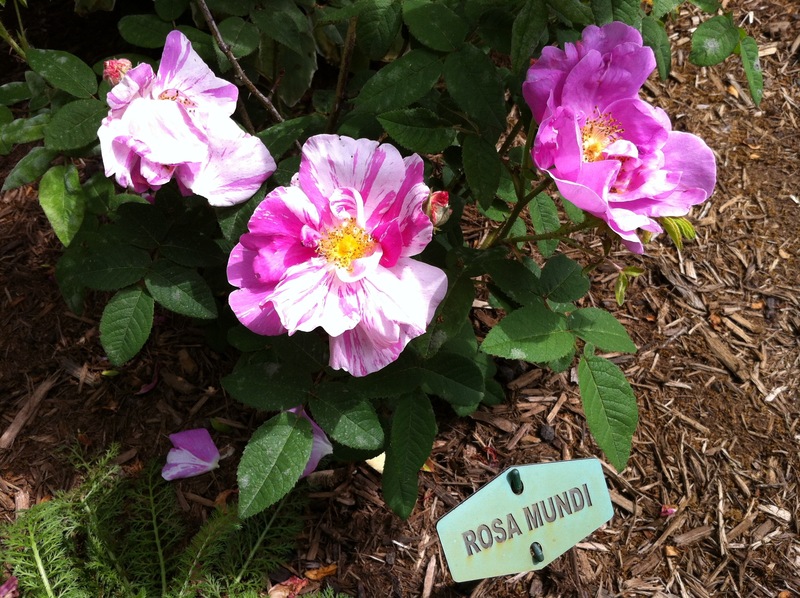 My favorite Gallica is Rosa Mundi …. the earliest known stripped rose that dates back to the 1500s. 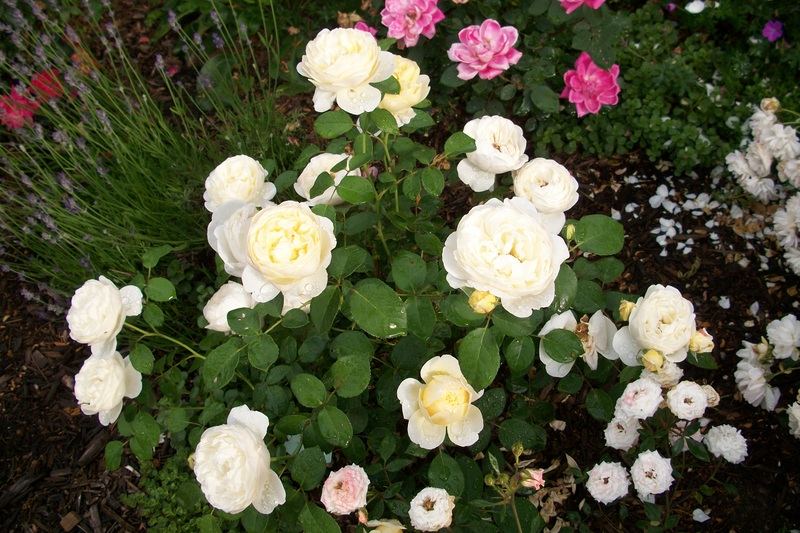 This group of roses is the result of crossing between hybrid teas and floribundas. The flower form and long stems are carried from the hybrid teas and the increased hardiness and abundance of flowers of the floribundas. One of my favorite grandifloras is Gold Medal. These roses were developed as hardy garden plants between 1840 and 1900, by crossing the Portland, Bourbon and Gallica roses and were mostly used as cut flowers. My favorite Hybrid Perpetual is Reine Des Violettes (Queen of Violettes). 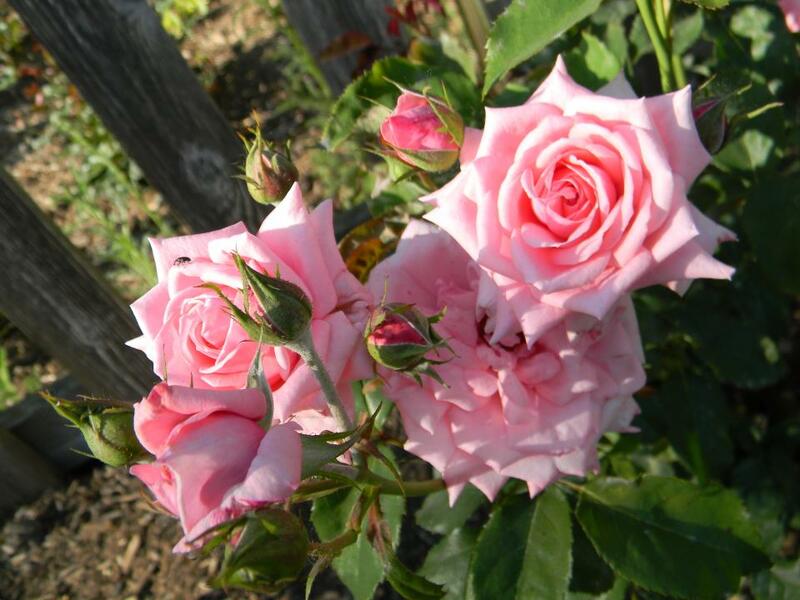 Hybrid Tea roses are the most widely grown roses and most used as “florist” roses. Long, narrow buds open into full delicate blooms on long, sturdy stems. Blooming occurs in waves from early summer until frost. 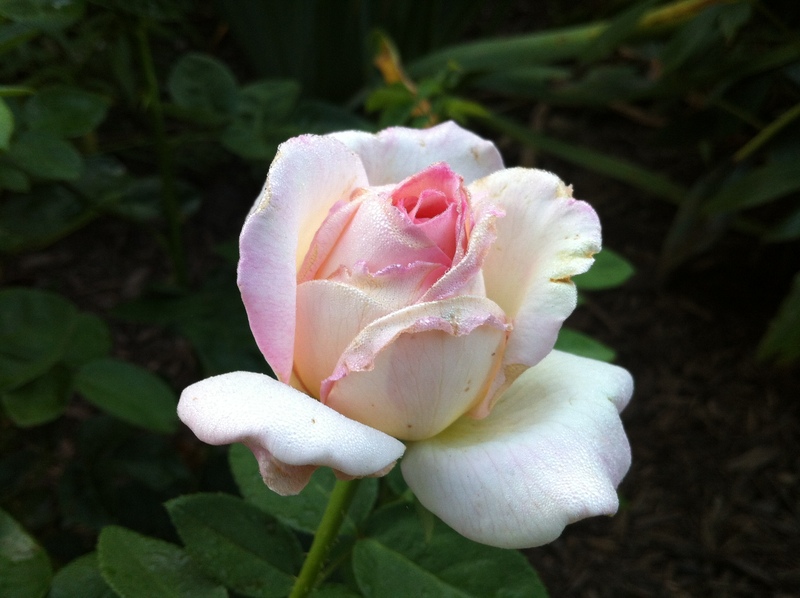 My favorite Hybrid Tea… well today… is the Peace Rose. Chrysler Imperial put on a show this summer too. I am adding several new HT’s this year as I make my way into the world of rose exhibitionists. Read on for details. Is a class of roses that originated in Charleston, South Carolina prior to 1812. John Champney, a rice farmer, received ‘Old Blush‘ from his neighbor Philippe Noisette, the superintendent of the SC Medical Society’s Botanical Garden. 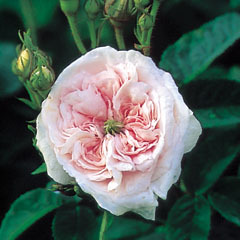 Champney crossed Old Blush with Rosa Moschata and Champney’s Pink was born. John Champney gave Philippe seedlings of ‘Champney’s Pink and Phillippe sent plants to his brother in France and the rage was on! 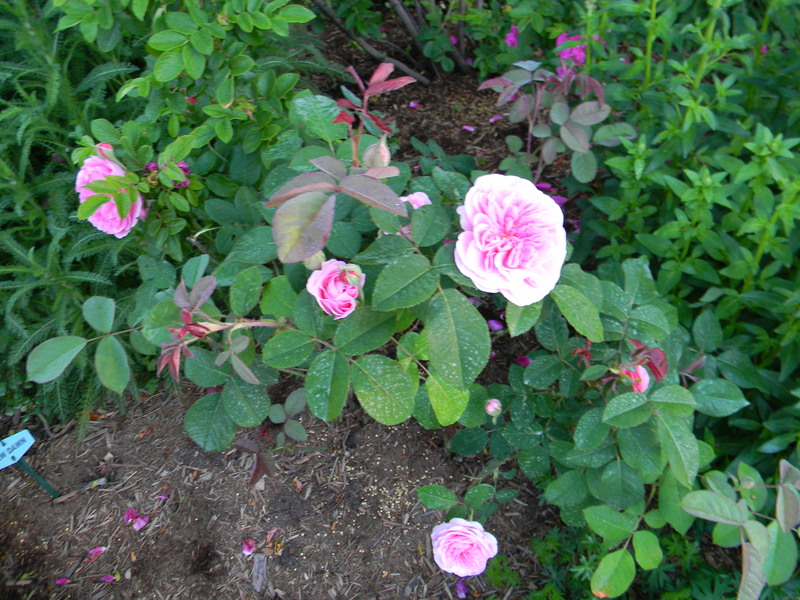 Polyantha roses are a cross between two East Asian species (Rosa chinensis and R. multiflora). The plants are compact and bushy and are rarely without blooms. My only polyantha is The Fairy Rose and this rose has been around since 1932. I love the clusters of tiny pink blooms. They look so nice in a mixed bokay of roses! These plants are very low maintenance and disease resistant! Portland roses are a natural cross between Damasks and China roses so you can imagine how wonderfully fragrant they are. 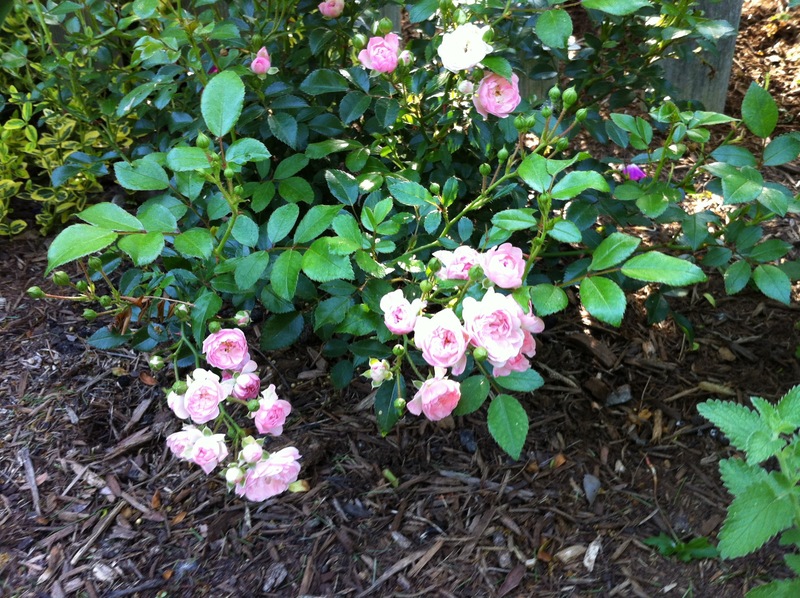 These roses are vigorous growers, and were one of the first of the repeat bloomers. 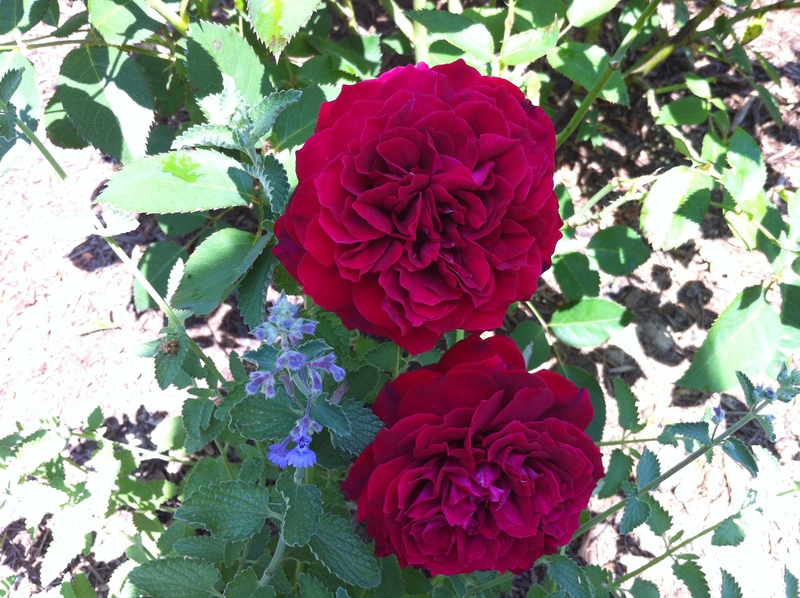 I grow Comte de Chambord and it has a fragrance that wows! Rugosa roses are species roses native to eastern Asia. These roses are tough, trouble free shrubs that need very little maintenance and produce masses of beautiful, highly fragrant blooms. Rugosas are good repeat bloomers. An added bonus is the large red-orange hips produced in the last days of summer. My favorite Rugosa is Roseraie de l’ Hay. I have several of these in my garden! But, I also love my RF Grootendorst and Hansas! I also grow a white rugosa, Blanc Double de Coubert. 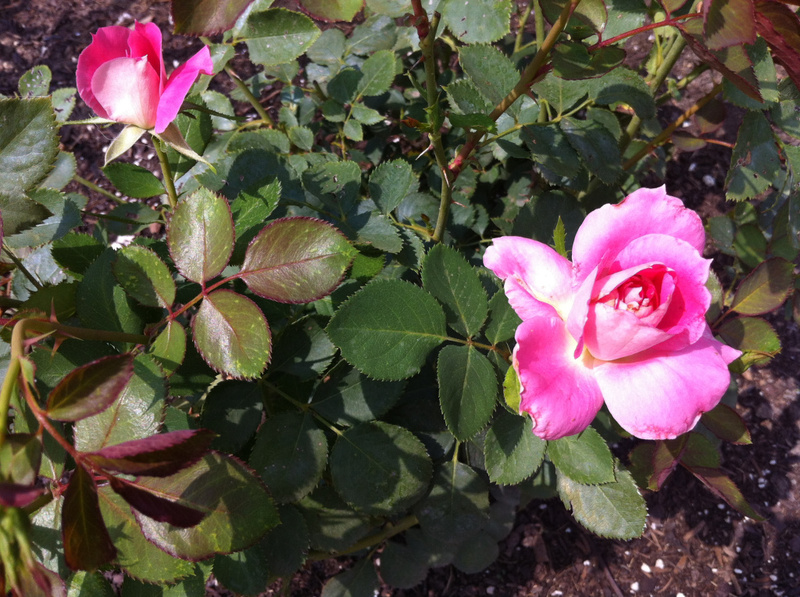 From Knockouts – Drifts, there are many shrub roses on the market today. 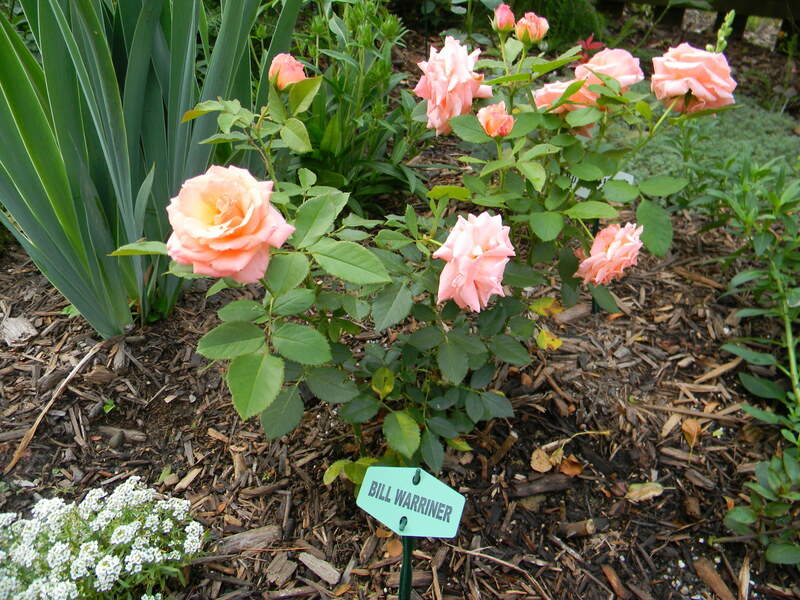 These roses are disease resistant, prolific bloomers that fit well into most any landscape. 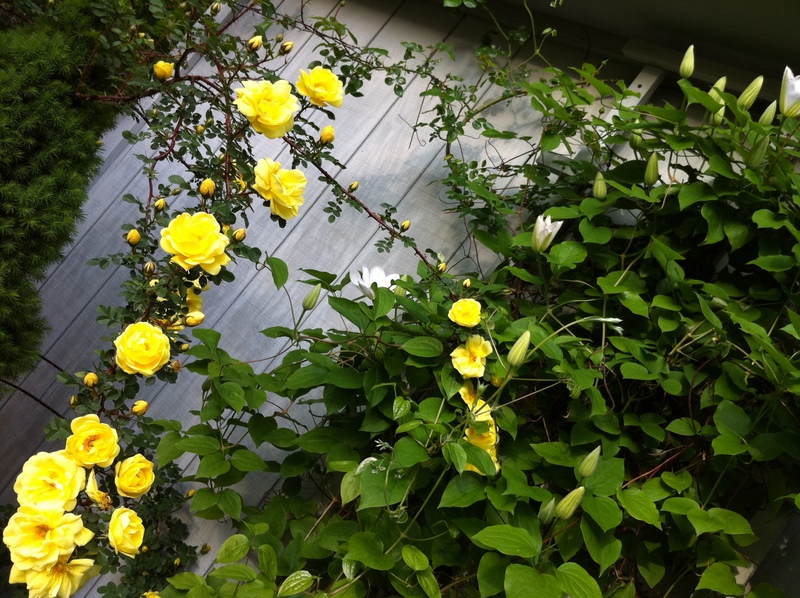 Some of my favorite shrub roses are Carefree Wonder, Sunny Knockout and Amber Flower Carpet. 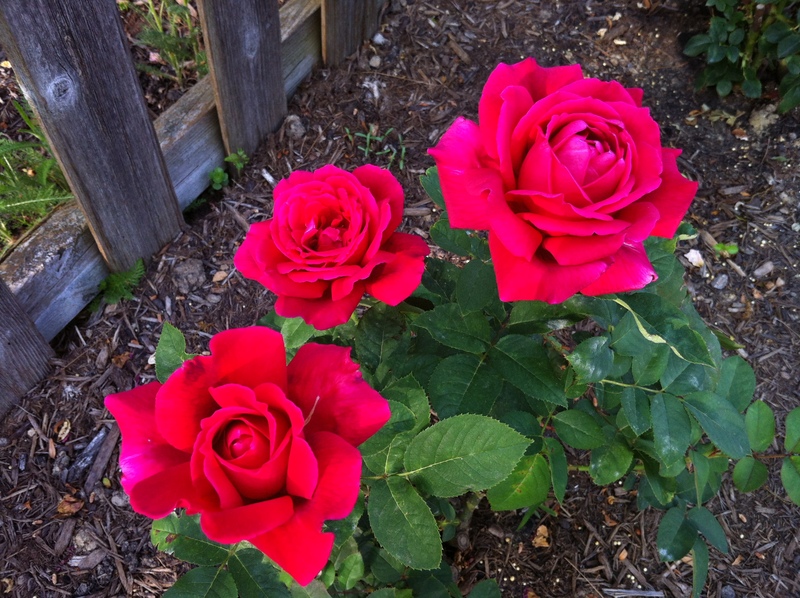 A great resource for these roses is Paul Zimmerman’s book Everyday Roses. 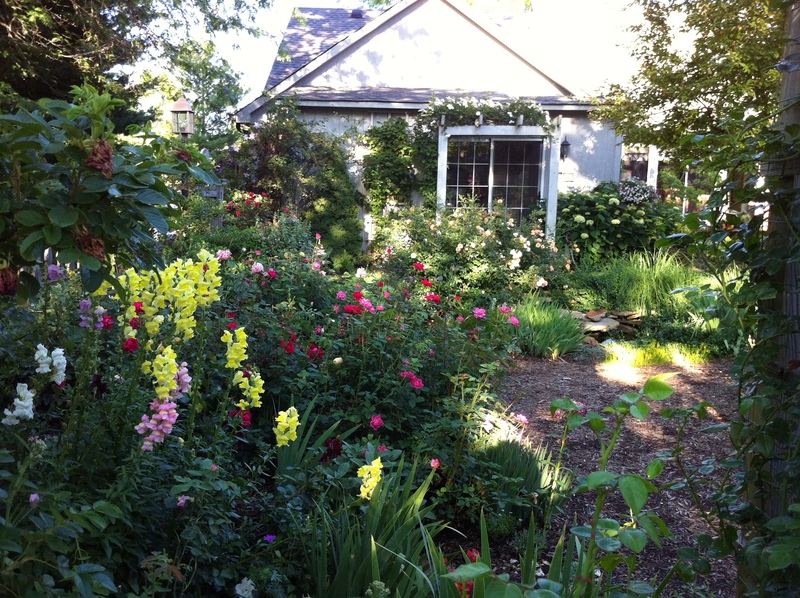 Easy growing tips and beautiful pictures of roses in home landscapes. The Species and Hybrid Species roses are the original rose varieties found in nature from which all the others have been bred. The flowers are single (5 petals). One of the earliest of these roses is Rosa Foetida. 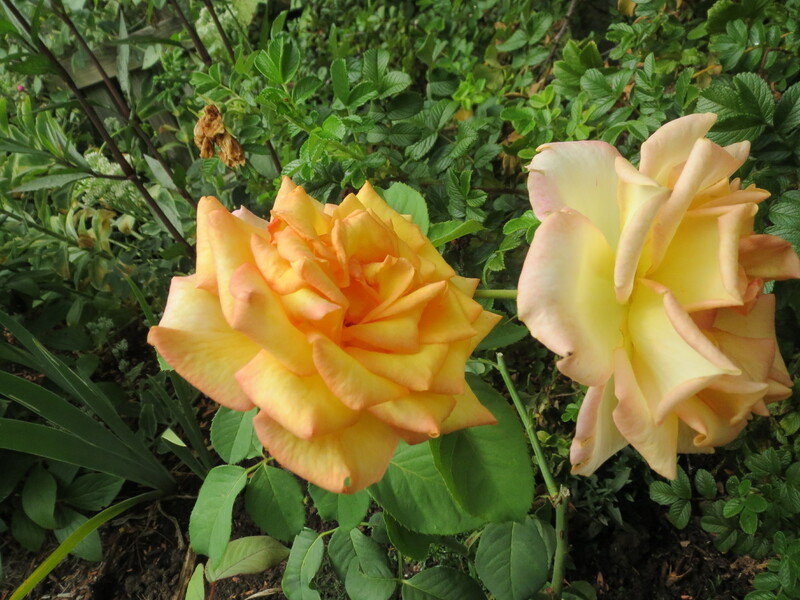 One of the first yellow roses was the species rose–Persian Yellow. 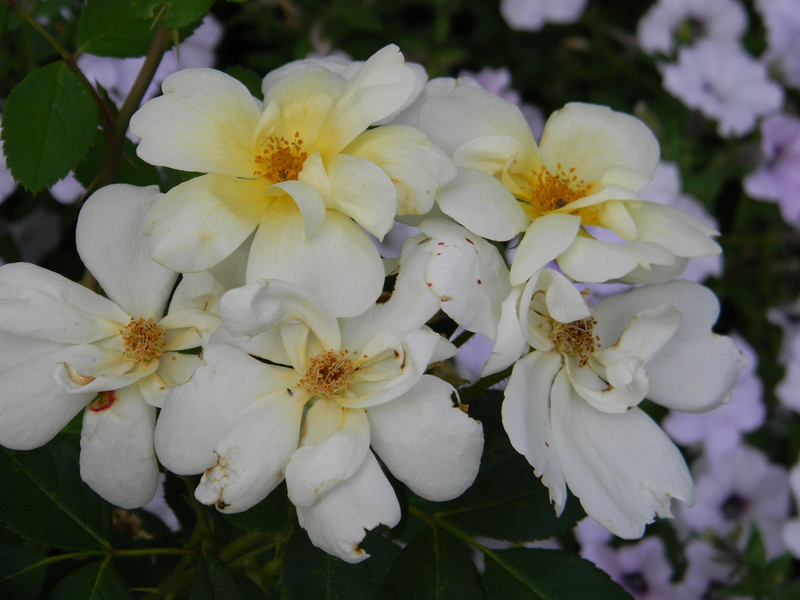 I have a hybrid rose cultivar which originated as a chance hybrid seedling of Rosa Foetida… Harison’s Yellow. Read all about Harison’s Yellow HERE. I love how you ended with two sun drenched photos of your lovely garden! 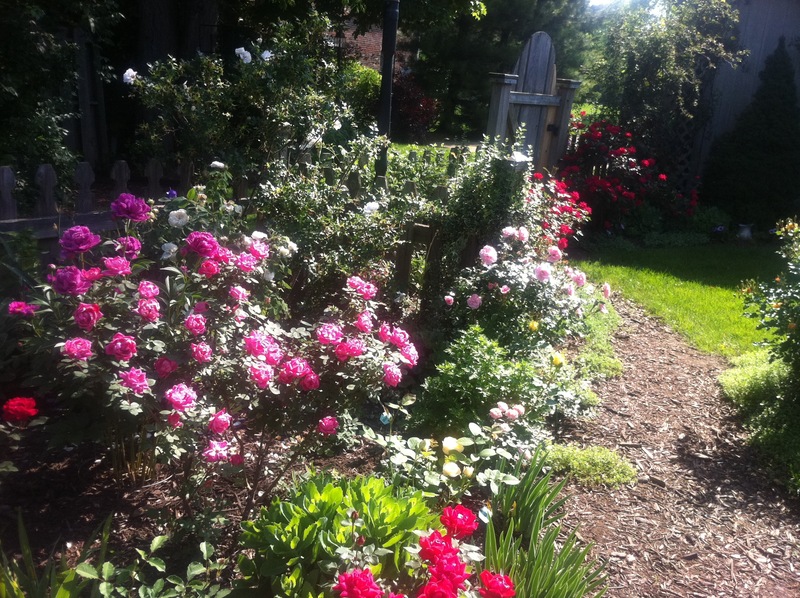 Spring is Christmas to the gardener… and roses are the favored presents! I admire your knowledge of roses. You have really put a lot of work into explaining the different kinds of roses. Great job! I particularly like the ‘Janice Kellogg’. Do you grow all of these in your garden? It must be spectacular. Thank you for this great info! I’m still trying to get my head around the different kinds. The way you presented the information made it so much easier for me to learn. Thank you! I’ve got this post bookmarked so when I sit down with my rose catalogs, I can remember which ones I want. It is so much fun to plan a new bed. Enjoy!! I will definitely visit! Thx!! Very nice post, Teresa. I share your love of roses and appreciate the information you’ve shared here which is generally not known. Realizing that you are in Zone 5B, I guess I understand how you could leave out two of the OGR’s – Teas and Chinas, but for many of us in the south and other warm climates they are the OGR’s of choice and for me in Florida they’re the only groups of roses I have to choose from aside from some particular polyanthas, shrub and English roses since mine is a no-spray garden. They’re the ones I talk about on my blog, so I guess between the two of us we’ve got them covered. Enjoy your winter and may your 2013 roses be the best ever! Yes, weather has discouraged me from trying the teas and chinas but they are sooo lovely! I’ll go check out your posts so I can enjoy them there!